Have you been playing Pokemon Go? Our team is O-B-S-E-S-S-E-D… which is exactly why we felt the need to share this editorial guest post about what makes games today so awesome. Read on! One of the really cool things about modern gaming is that there’s limitless potential for crossover, imitation, and reboot titles. Developers can now make games for consoles, computer play, or mobile download, and sometimes they’ll make games that can be enjoyed on all of these different platforms. The industry is freer than ever before when it comes to development, and one of the results is that popular titles quickly inspire others, and gamers are able to enjoy more of what they like. The clearest examples are in console-to-mobile crossovers of mainstream franchises. We’ve seen everything from EA Sports’ FIFA franchise to Call Of Duty titles adapted to the smaller screen following incredible popularity on leading consoles. And more recently, we’ve seen developers working on optimizing smaller forms of console games for mobile play. For instance, among the games provided by Square Enix, you can now find selections like Hitman Go and Lara Croft Go, which are puzzle apps that invoke themes and characters from the Hitman and Tomb Raider franchises. These games came out more or less alongside the most recent console releases in their respective series, and thus capitalized on existing popularity to thrive in app markets. We’ve also seen some games that initially found popularity in those same app markets sparking trends elsewhere. In other words, not every fun crossover trend in gaming has to begin with a massive console title! Consider Temple Run, for instance, a relatively simple mobile game that became a viral hit (and inspired sequels and spinoffs) not long after its release. The game basically involves running through a jungle as an Indiana Jones-like adventurer, collecting coins and avoiding obstacles. And while nothing that exactly resembles it has popped up elsewhere, the exclusive games hosted at Gala Casino now include a game that looks to have been crafted with a similar atmosphere in mind. “Jungle Treasure,” as it’s called, replaces slot reel images and backgrounds with imagery from the jungle, and the animation even looks a little bit like that in Temple Run. It’s hard to imagine this game really standing out if not for the fact that it bears that resemblance. But the most exciting aspect of the crossover and reboot culture that’s developed in gaming is that we’re constantly seeing vintage video games updated or mimicked. Whether you once loved Frogger and have since come to enjoy Crossy Road, or you can’t get enough of classic fighter games and now have Street Fighter and Mortal Kombat apps on your phone, there seems to be something to suit just about anyone’s interest. But now, at least in the millennial generation, there’s something to suit everyone’s interest. And you guessed it—we’re talking about Pokemon Go. Released earlier this month after some eager but uncertain anticipation, Pokemon Go may be the biggest gaming sensation since the original Pokemon games themselves. It functions very similarly to those games, except that instead of directing Ash Ketchum around on a Game Boy screen, you’re the trainer and the Pokémon are out in your world. You go out on walks and your phone buzzes when a Pokemon is in your immediate vicinity. You then tap the Pokemon, and your phone’s camera will activate, showing the very real environment around you, complete with a Pokemon just waiting to be captured. From there, you simply capture, train, and enter battles at local arenas. There’s a little bit more to it than that, but in short, Pokemon Go brings the original Pokémon experience into your real life. There has already been a lot written about the nostalgic appeal of this game to millennials, but it’s impossible to overstate that point. Try to remember just how popular Pokemon really was; it was like Mario and the Beanie Babies mashed up and turned into a video game, card-trading game, and animated TV show all at once. This was one of the cultural phenomena of the ’90s, and most ’90s kids/millennials haven’t forgotten it. In fact it’s a good bet that as Pokemon Go continues to gain popularity, this writer isn’t the only person trying to dig up an old Game Boy to play through Pokemon Red or Blue again. Make no mistake about it. Pokemon Go is childhood reborn for an entire generation, and it’s because of this that it’s the most exciting mobile gaming reboot or crossover yet. Oh, and it’s absolutely dominating the app market. Last night the lucky people in the Richard Rodgers Theatre in New York were extremely fortunate to witness the final performance of Hamilton with the 3 original leads. 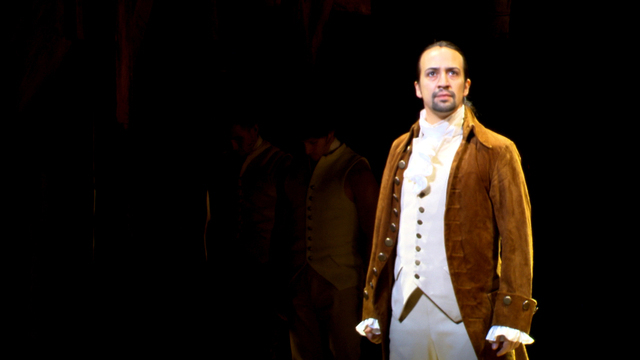 As of this morning Lin-Manuel Miranda, Leslie Odom Jr and Phillipa Soo have passed the torch to 3 lucky new stars. It’s a sad time for every Hamilton fangirl like myself. I will never get the chance to see these actors in these roles on stage (though the chance of that happening regardless was pretty slim). But I like to remind myself this is a natural process in the world of theatre. I’m going to compare it to Doctor Who – the show goes on, the actors are just always changing. Plus, we all know they taped the entire performance not too long ago. I am just waiting for them to tell me how I can watch this. I, along with so many others, will pay money to see that. To celebrate the passing of the torches of Alexander Hamilton, Aaron Burr, and Elizabeth Schuyler, I think it’s time for another installment in my historical fangirl series: A Fangirl’s Guide to the Characters of Hamilton: Part I.
Alexander Hamilton is the star of the show and is currently the most famous Founding Father. Born out of wedlock in the West Indies and orphaned as a child, Alexander was able to rise up and become the first Secretary of the Treasury for the United States. He was largely able to do this because he was brilliant. Alexander was recognized early on for his abilities and talent; he was ambitious and smart. He was a writer and he was never satisfied. Alexander was one of the first people George Washington chose for his cabinet. Alexander’s ambitious nature and ability with the quill make me wonder whether he should be in Slytherin or Ravenclaw. But he is also courageous and brave and loving. Himself and his rise are his number one priority but he does love Eliza and his country. A lot of his actions are defined by how much he cares about these two things. As for Game of Thrones, Alexander was well respected and generally liked until he pushed it too far and made mistakes, which triggered a series of unfortunate events and a similar downfall to the Starks. Aaron Burr is the villain of our story and that in itself classifies him as a Slytherin. But Aaron is much more complicated than just that. At his height he was elected a United States senator and became Thomas Jefferson’s vice-president. To some he is the worst US vice-president, but he also worked to abolish slavery and promote children’s education. Aaron is most famously remembered for his deadly duel with Alexander Hamilton. 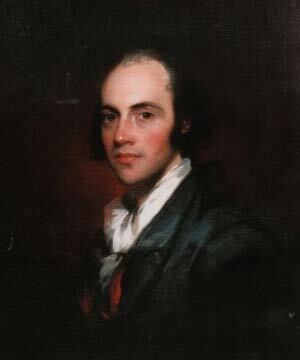 Throughout Alexander’s life, Aaron Burr was his rival and nemesis. He was a master politician and skilled parliamentarian, but more than that, he wanted power. Alexander predicted that if Aaron gained power, his leadership would be for personal gain, and not to preserve the Constitution. Many feel sympathy for Aaron Burr during Hamilton, but based on history there’s no denying he’s a Slytherin and Lannister. And naturally I want Aaron and Alexander to be seekers, preferably on competing teams. Let’s see who wins this duel. Elizabeth Schuyler has to be one of the nicest characters in Hamilton. She is charitable, forgiving and kind, and she has a great heart and so much courage. I think these are Gryffindor characteristics. Eliza is smitten with Alexander early on and the two of them are married during the Revolutionary War. Eliza is strong and brave. Eliza knew what she wanted and went for it… but she’s also forgiving. As the show progresses she experiences a number of extreme hardships and devastating losses but she perseveres. Eliza Hamilton lives another 50 years and the list of what she accomplishes in the time is incredible. She loves Alexander and through it all she is driven by her honour to tell his story. I struggled with her Game of Thrones house. But I ultimately classified her as a Tully. Their motto of, “Family, Duty, Honor,” fits Eliza perfectly. 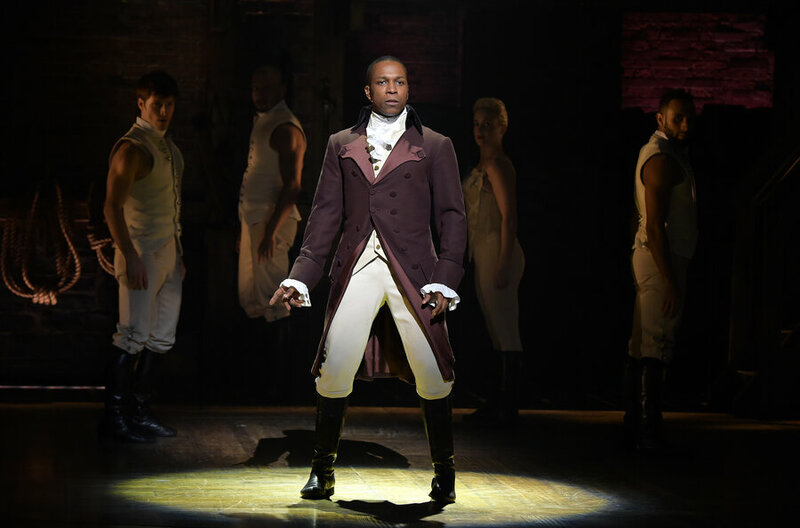 I hope you enjoyed A Fangirl’s Guide to the Characters of Hamilton: Part I! There are a number of supporting characters in the Hamilton story, so stayed tuned for Part II at a later date.